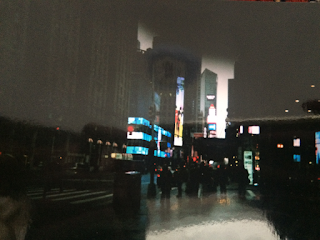 I took a trip to the big apple over half term on a school trip and it was truly magical- despite being a school trip. We did all the typical touristy things, Top of the Rock, 5th Avenue (where I spent wayy more than I should have), Statten Island Ferry etc. Our hotel was situated right in Times Square which was amazing, we snuck out a number of nights to squeeze in some more shopping. 5 days was definitely not long enough though, I didn't even get to visit Maccy Demarco's house, or go to Chinatown.. Guess it totally makes for an excuse to go back again though. Even it was a school trip, it looks you had a lot of fun! I'm a bit jelly, too, my dream is visit this city! These pictures are so cool! I always love going to NYC, it's such a dreamy, magical place! Aw these pictures are so cute!!! I've never been to NY, but I really want to visit, even though I think it maaayyy give me too much anxiety. But ahhahaha, when I heard My House by the Water, I was like "yup, now I gotta go".